Resin established itself with its debut APP, Two Left Feet winning Best New App and Best Children's and Early Childhood App at the Australian Mobile Awards, Received an Editor's Choice Award from Children's Technology Review as well as a number of other industry awards. The App was featured by Apple in their New and Noteworthy section on the iTunes Store and was regularly charting in the top 10 iTunes charts and achieved the no.1 ranking in it's associated category. Industry reviewers praised the app for its innovation and usability. 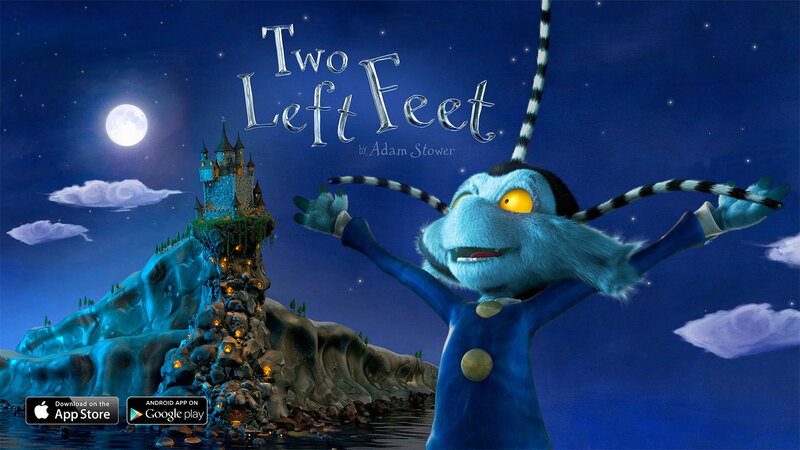 With a specific focus on 3D animated content based app development we have released Two Left Feet for Apple and Android devices, a new type of book app that uses AR to bring the existing storybook to life with animation. Christmas in the City an environmental AR app and an AR app for the 2015 Adelaide Festival Arts. We also have a game in development that is nearing completion. "They have evolved the characters wonderfully while never losing the original essence of the story…They have produced something truly amazing. To describe it simply as a digital pop-up book would be doing it a disservice. It is much more than that." Two Left Feet performed very well on the iTunes Store for it's categories and held a top 10 position for a number of weeks reaching no.1 in several categories. The app competed against brands including Disney's Cars franchise, Dora the Explorer, The Avengers and many others.